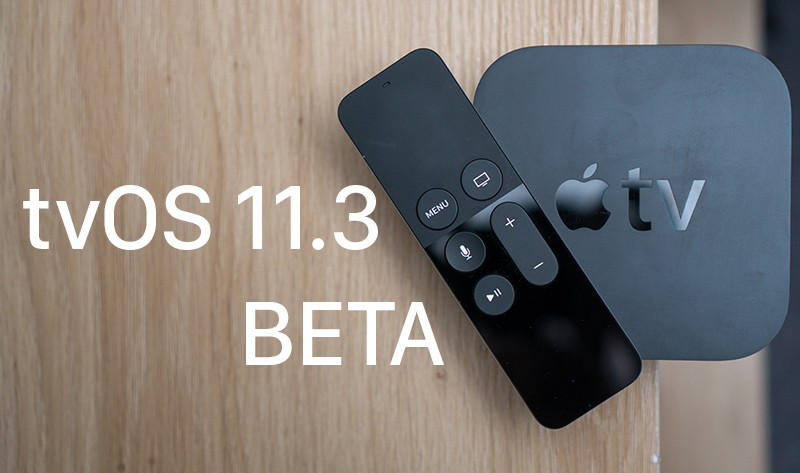 Update: tvOS 11.3 beta 2 fixes a bug that caused the Play/Pause button on the Apple TV Siri Remote not to function properly. Have had an issue where the Apple TV will not go to sleep by itself with the first beta. Curious if that is fixed. Apple Remote app won't connect all the time either. My option to download betas on my Apple TV has disappeared this morning. I have gone to the Apple site. And unenrolled. And re enrolled. And for some reason under system there is no beta option on both my Apple 4K boxes. Not sure how to fix it. I was having the same issue, hopefully this will resolve it. Was having some issues around the play/pause button too. "Just one software update away" allows the ambiguity of WHICH update: the next one?, the one after that?, the one after that? and so on. It's a great way to somewhat quiet a tangible gripe by making it sound like it's an impending update but then getting to it or not whenever. My guess? If it ever arrives, it will probably be a feature only available in :apple:TV 6 (exclusivity to the 6 for no good reason, but bigger "updates" that don't arrive quickly usually wait for the next hardware upgrade cycle with rare exception). I'll hope that's NOT the case this time.